This was my first real attempt to map a structure. It was done with CC3 and utilized a variety of symbols obtained from the CSUAC and the Dunjinni forums. 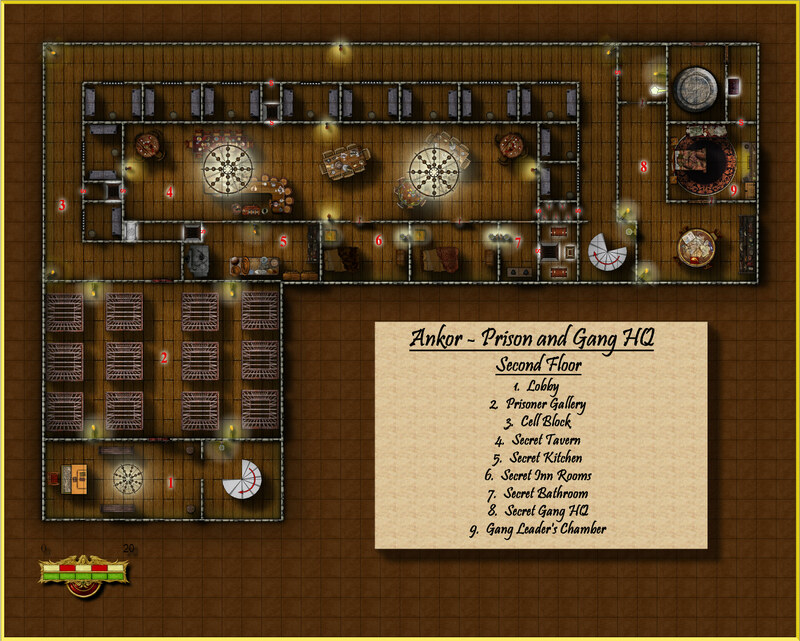 The prison is situated in the City of Ankor. 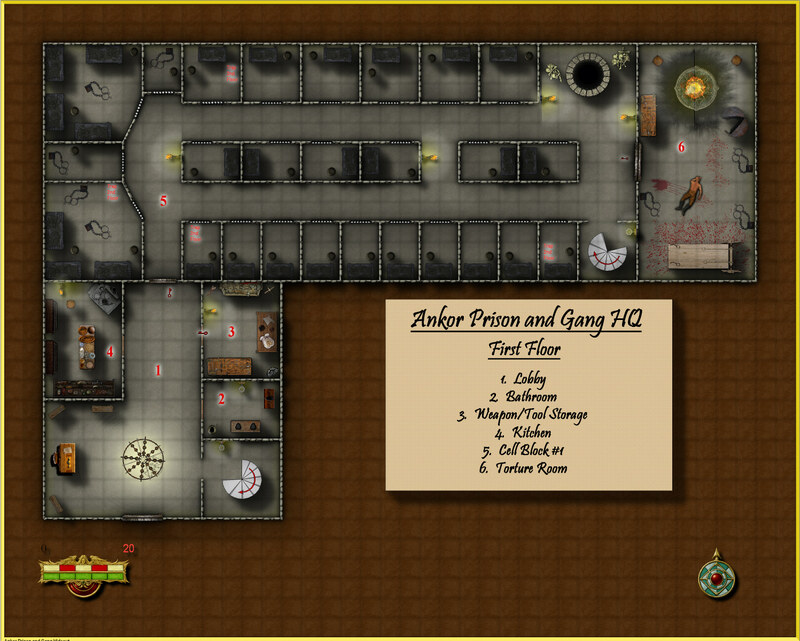 It houses common criminals on the first floor and the more expensive slaves on the second floor. The second floor also features a thieves guild hideout.